We have spiders that look like peacocks. We have mammals that lay eggs. We have birds that look like dinosaurs and stand up to two-metres tall! Australia really is a magical land. Our plants, animals and fungi are unique. And we get to see these special species everyday, even if we live in the middle of a city (hello, rainbow lorikeets, you shrieking torpedoes of colour!). We’re inviting you to get outside and record the species that you see. You can be a part of protecting our unique biodiversity. This year, the ABC has teamed up with the Atlas of Living Australia for their premiere of a brand new nature documentary. Magical Land of Oz will premiere on the ABC at 7:40pm this Sunday 10 February. And you can be a part of the buzz! Don’t by shy! Show off your photographic skills with the confidence of a peacock spider. Photo: Jürgen Otto. 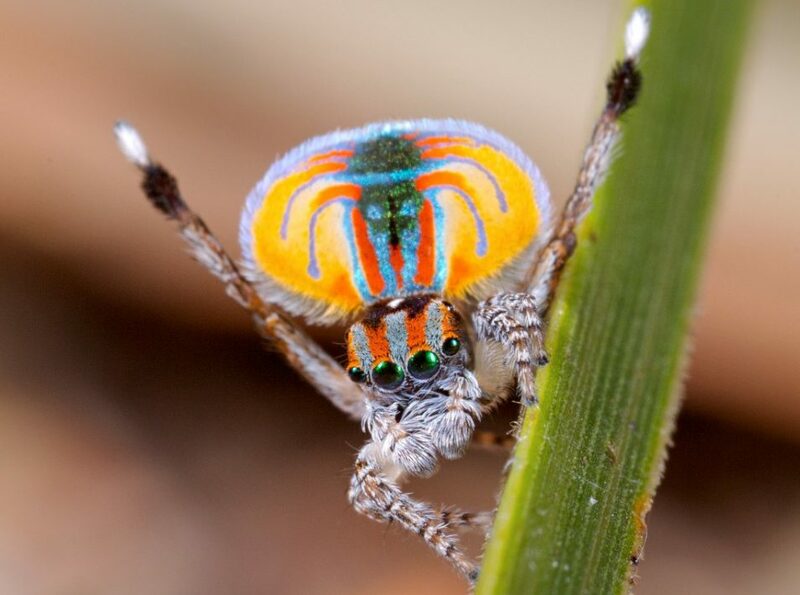 Visit peacockspider.org for amazing photos and more information on these dancing spiders. Dragons, dancing spiders, saltwater monsters … witness Australian animals in all their weird and wonderful glory over three episodes. Narrated by Barry Humphries of Dame Edna Everage fame (hello possums! ), we’ll meet enigmatic animals and see their bizarre behaviours up close. We’ll travel from our highest snowy peaks to the depths of the southern seas. We’re cross deserts, rainforests and coral reefs. Expect a cinematic adventure. Why do we want your happy snaps? Hundreds of Australians have already uploaded the weird, whacky and everyday species that they see to our Atlas of Living Australia. The ALA provides everyone with free access to information about Australia’s amazing biodiversity. It’s collaborative, open infrastructure, and it gathers biodiversity data and makes it accessible and reusable. And the photos on ALA aren’t only from our scientists. Citizen scientists (that’s you!) play a very important role. There are still thousands of species of flora, fauna and fungi that have not been identified. And even those that we do know about need more data. So what are you waiting for?! Send us your photos and help protect our magical land of Oz! And remember, tune in at 7:40pm this Sunday for the ABC’s premiere. 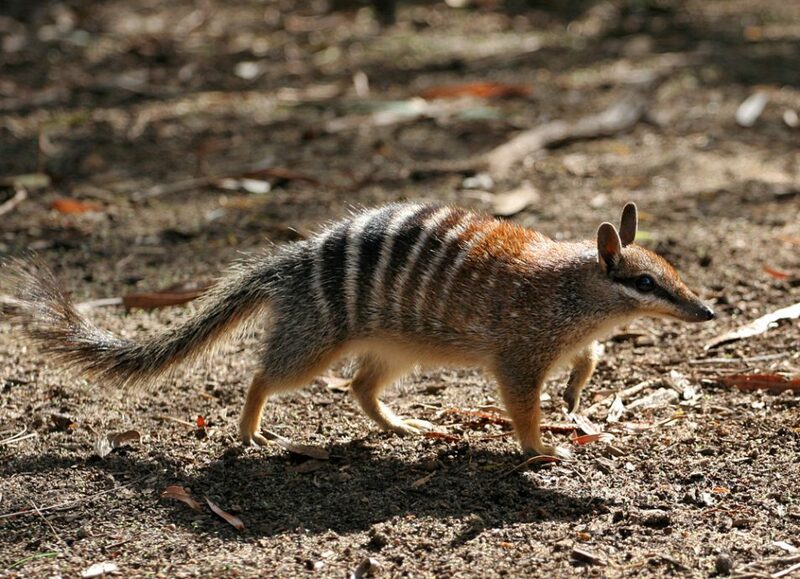 The numbat and its incredibly long tongue will feature on episode two of Magical Land of Oz. It’ll be ant-lickin’ good! 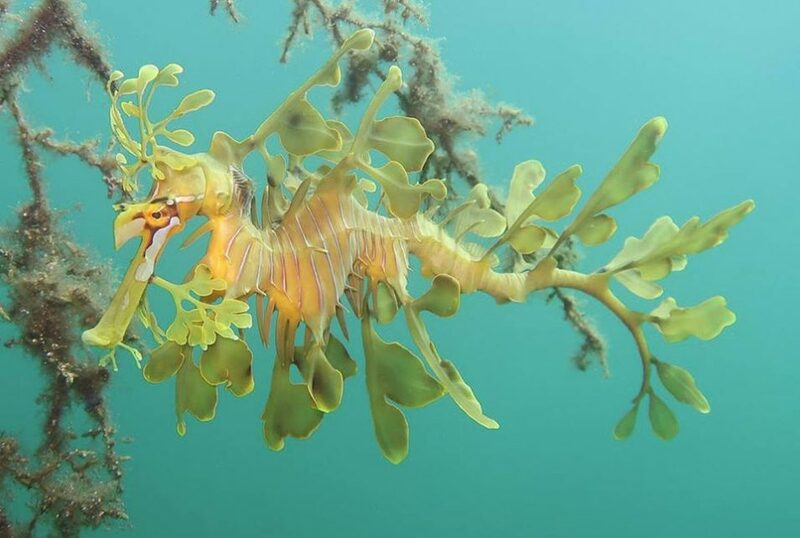 This stunning snap of a leafy seadragon is straight from the Atlas of Living Australia’s photo collection. Share your photos of furry, feathered or finned friends! Great to hear one Oz treasure contributing to the story of Oz! The images of and information about other Oz Earth-citizens are generally superb! No account of anything satisfies everybody – but this one introduces us Ozzies to wildlife that is, in some cases, ours alone and in others – unfortunately – in real danger of being ‘disappeared’. It would have been useful to include details of who’s doing what to help ensure that Oz wildlife is able to live its own lives comfortably, for as long as possible – and what we watchers as these lives play out might do to assist in that nurturing of Oz’s wildlife web. Although the segment on the Numbat was beautiful filmed and informative, it failed to mention the current threat to this rare animal’s habitat: logging and burning of its habitat (outside of reserves) by the logging industry in pursuit of a rapidly declining resource. Episode 2 has some great footage but some embarassing factual errors in the eastern grey kangaroo segment . Check the science more carefully, ABC. The Magical World of Oz is mediocre with fluctuating sound, commentary by Barry Humphries which is wooden and it has obvious he has no real understanding of the subject. Filming is good but that’s it. Very disappointing.